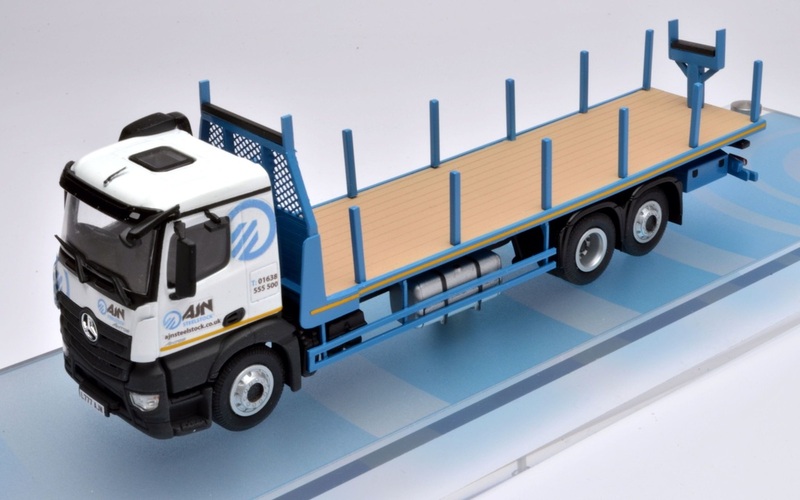 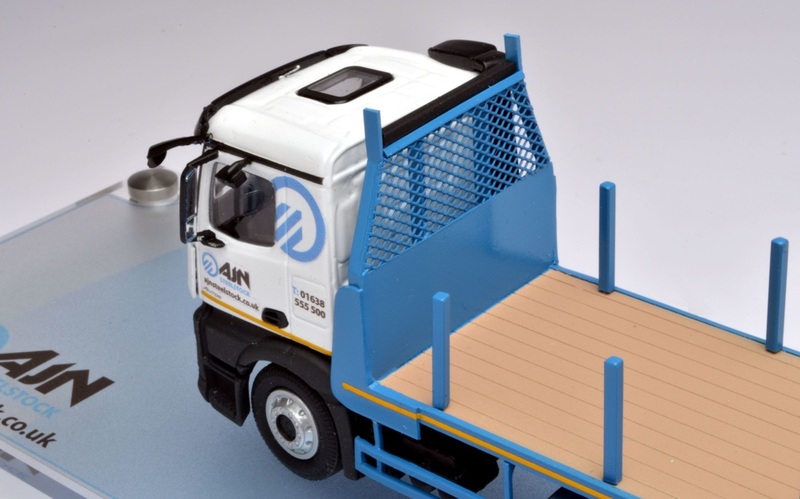 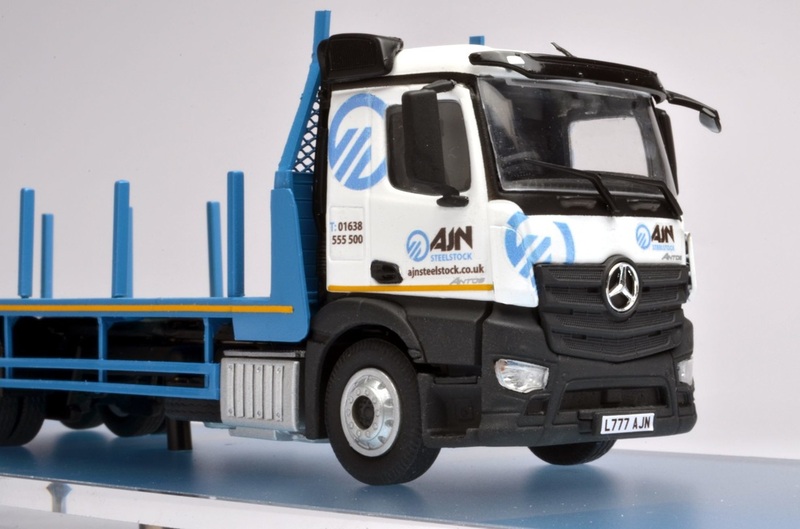 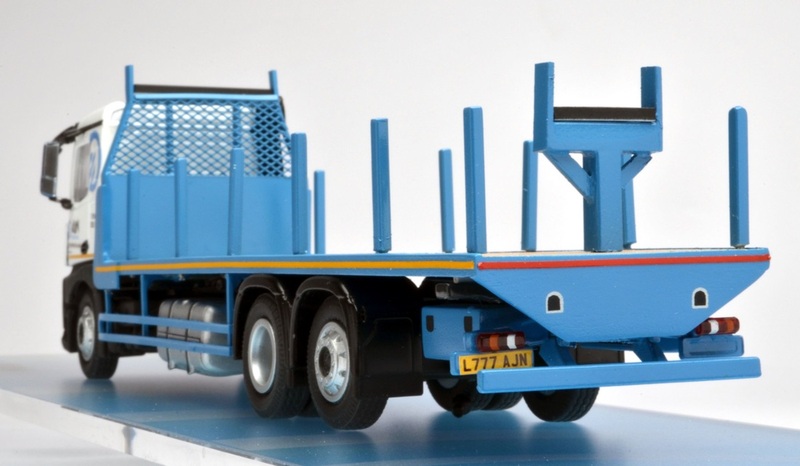 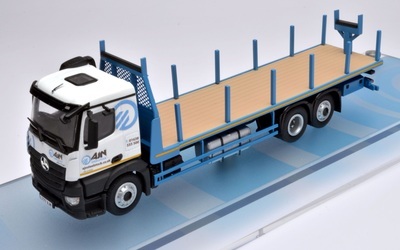 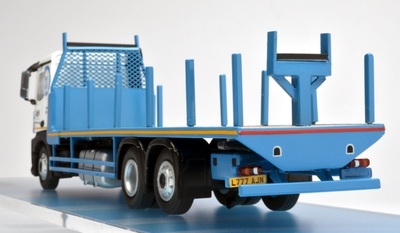 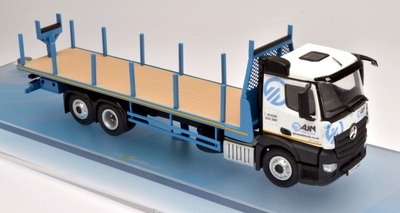 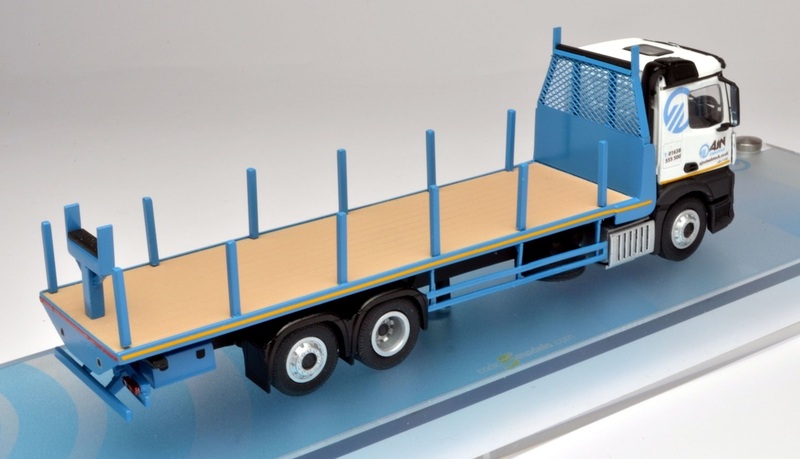 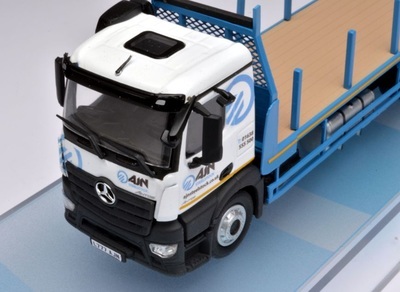 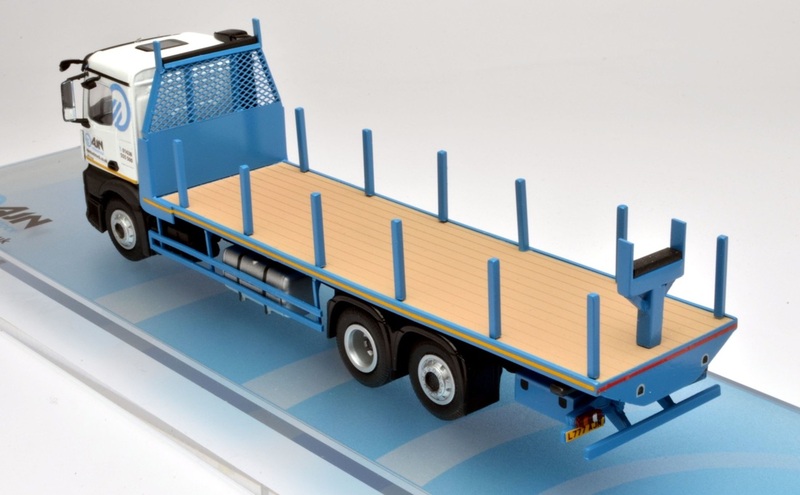 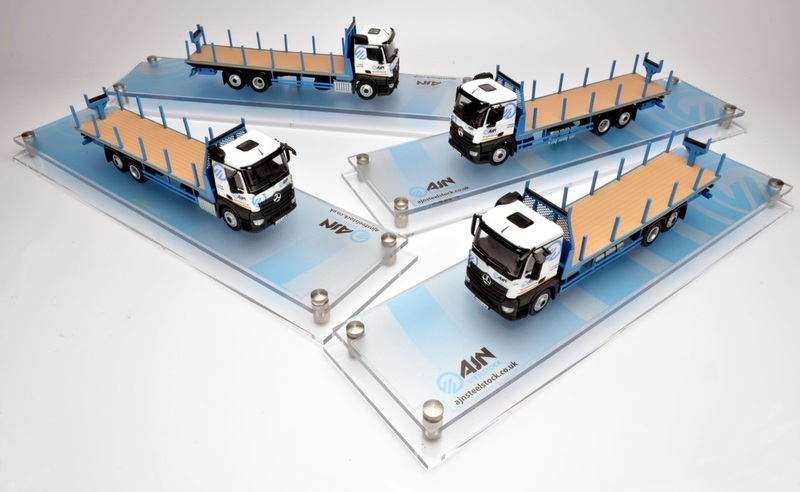 4 x 1:50 scale Mercedes Actros Rigid's with scratch built flatbed and pillar bolsters. 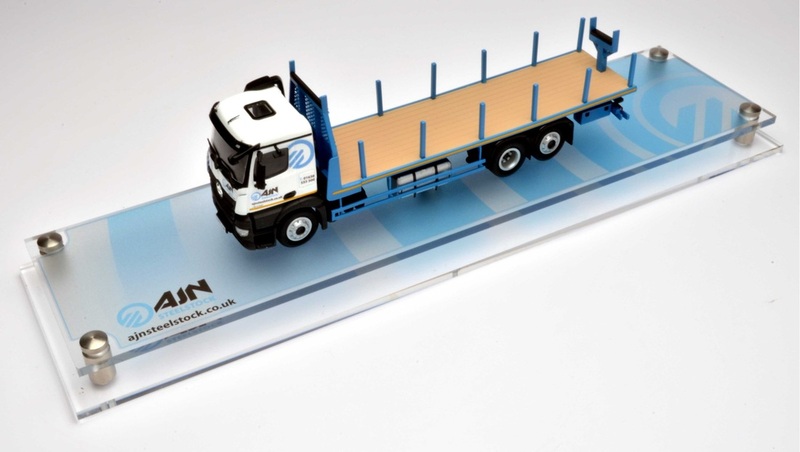 Model displayed in a contemporary acrylic case with bespoke graphic base label to augment the display. 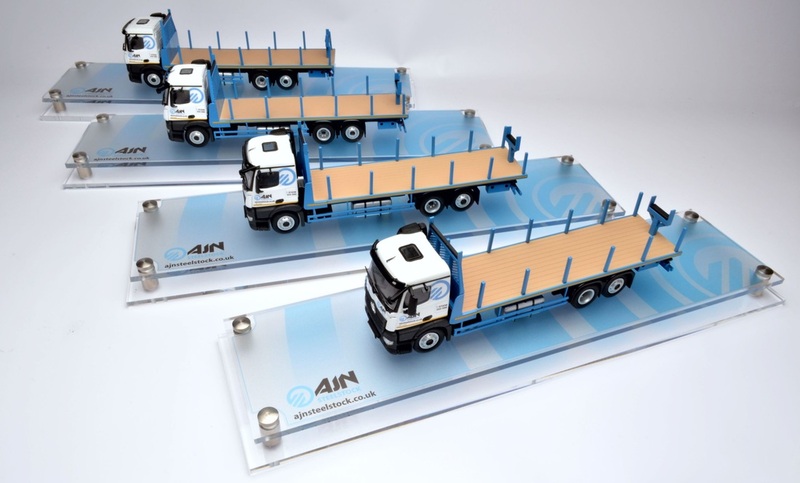 Models were commissioned as Christmas gifts.